Wisconsin Sports Tap: A statue of who?? 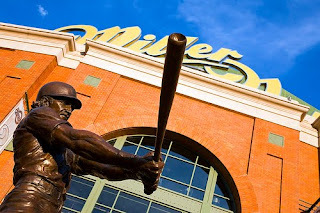 You make a valid point about Uecker deserving to be given a statue at Miller Park and he almost certainly will receive that recognition, sooner than later. But Selig deserves to be remembered too. 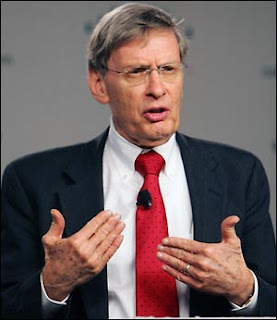 It's easy to look at Selig the Commissioner and forget about Selig the Owner. Yes, Selig the commissioner has had his down moments, including a work stoppage and the steroid era, but he also brought about some major improvements to the game (the wild card and interleague play). But disregarding Selig the Commish, Selig the Owner deserves to be immortalized. Without him the Brewers don't stay competitive with a higher payroll throughout the 80's. Even more importantly, without him the Milwaukee Brewers simply don't exist. It was Selig that brought the failing Seattle Pilots to Milwaukee. As long as there is pro baseball in the Brew City, we have him to thank and for that. Without Selig, Aaron doesn't come back to MKE to finish out his days, and without Selig, there is no Brewers for Yount to hit 3,000 hits for. 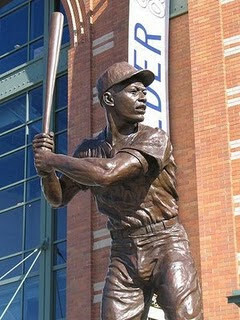 Immortalize the man for this contribution to Brewers baseball. I've said this a couple of times now, I think they should wait until after 2012 when he steps down as commish, but he deserves a statue nonetheless. You're both very right, and I'm willing to overlook reason number one for not erecting a Selig statue. But I just can't get past #2. You erect statues of icons, not the men behind the scenes. Statues go to the heroes, the Vince Lombardis and the Robin Younts. Men take their sons up to a statue, say, "When I was your age, I watched this man play," then tell their favorite memory. This statue is an elaborate, public and permanent thank you card which will be appreciated by few outside the man and his family. There are a number of ways to honor Selig. A bust in a glass case when you walk into the main entrance at Miller Park. Rename Miller Park Way Bud Selig Way. And by all means put his name up on the wall of fame with the retired numbers. 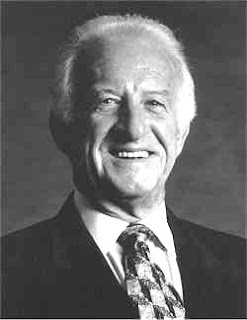 But statue number three should go to Bob Uecker, whose "GET UP, GET OUTTA HERE, GONE!" is known by every Brewer fan in the state.